about a historical true story set during WWII. sequel episodes 45 min. each, totaling 270 minutes. 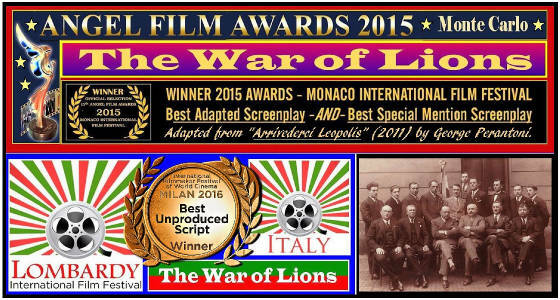 family, friends, WWII in Poland and Italy. as a graphic novel for the director team and crew. by protagonists. See photos HERE. — Their interaction with Germany's occupation soldiers. — Then, with their Polish friends as Italy's liberators. — Last, with Polish liberators after their betrayal. real and tangible" - "Nazis outwitted by guile and fearlessness." "Accessible and unique." - "Cunning and tenacity of the main protagonists." - "Compelling story about family life in wartime." "A unique perspective to view the WWII era." "Wit and courage during Nazi occupation." veils perpetuated by military and political history. MORE REVIEWER COMMENTS: "A fresh view of WWII"
"Perspective never seen before" - "Story needs to be told"
"A breath of fresh air regarding most World War II stories"
"Original, Intriguing and unique" - "Fantastic originality"
"Original and not what we have typically seen of WWII"
SCHEDULES: The production director-team will select participants. Then, our 30-day Kickstarter Campaign will follow soon afterward. possible after the campaign has been successfully funded. the foremost consideration in the selection process. so that you calculate any unforeseen needs that might occur. his/her financial disaster and also a burden for the entire team. sufficient crowdfunding from a successful Kickstarter Campaign. as images, videos, and written details. Facebook groups "Artists for The War of Lions"
and... "The War of Lions behind closed doors"
A WORD OF CAUTION: The price that you submit will be the most critical feature yielding success or failure for you or your company. It is imperative, therefore, that you calculate a price sufficiently HIGH to cover any and all unexpected factors. Please resist the propensity to provide a "competitive price" because funding cannot be re-negotiated after the campaign. Our exceptional screenplay can reach the common interests of diverse audiences in Europe, U.S.A, Canada, Australia, and others drawn to the riveting history of WWII in Europe.